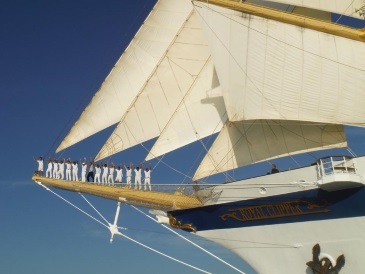 55 intrepid sailors, many of them members of the Half Moon Bay Yacht Club, traveled with Bay World Travel on board the Royal Clipper, the world’s largest sailing ship, in September. 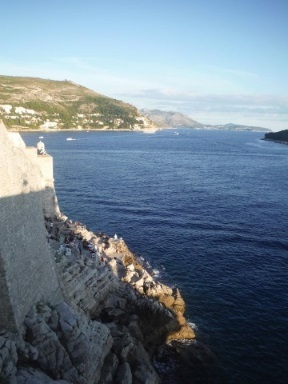 Our itinerary took us from Venice, then across the Adriatic, to the beautiful Dalmatian coast, where we anchored off the picturesque landscapes of Montenegro, Croatia, and Slovenia. The perfectly preserved or restored medieval towns of Kotor, Dubrovnik (thanks to UNESCO and humanitarian aid its immaculate walled city is completely restored since the devastating 1990’s Serbo-Croatian wars), Hvar, Rovinj, and Piran charmed us all. 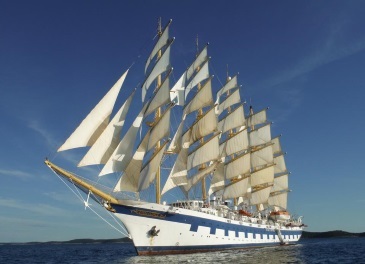 And the Royal Clipper wowed us with her elegant beauty and awe-inspiring square masts. Each evening we set sail to the dramatic music from 1492. On the top deck, you could almost believe you were living in the age of sailing ships. But below was another story! Fine dining, great drinks at the Tropical and Piano Bars, and low-key entertainment were enjoyed by all. Group members took part in the fashion show and crew/guest talent show and enjoyed dancing till all hours. 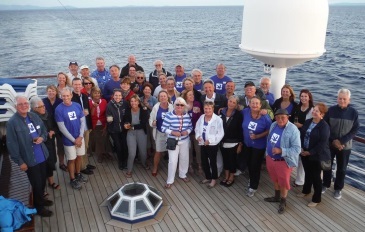 There were always group members gathered at one of the 3 bars on board – it was a great way to share stories of the day’s adventures, poke good-natured fun at each other and our “competitor” group from Berlin, and plot out a strategy for the next day. There were so many options on our port stays! We organized two Bay World Travel exclusive shore excursions, one which took us on a tour of Dubrovnik then on to an olive oil producer’s farm who still uses traditional methods of production, then a light lunch on a patio overlooking the grove featuring their own cheeses, cured meats, olives, vegetables, and amazing olive oil. We also had a group pre-booked for a real highlight – wine and truffle hunting in Slovenia. We’re pretty sure the black truffle pasta (hand rolled fuzi) is also served in heaven. It didn’t hurt that our lunch was served looking out over the expansive vineyards of Bric Winery. 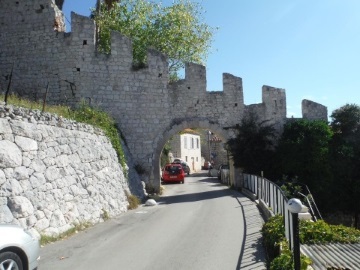 Many people enjoyed exploring the narrow streets of the medieval villages on their own. Because these ports are not visited by the large cruise ships and it’s close to the end of the season, we saw mostly locals and each other! 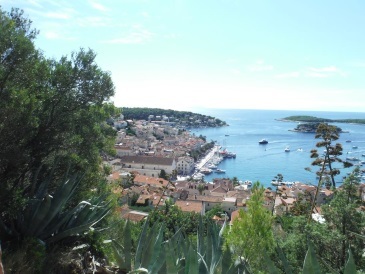 The warm sunshine of Hvar – kayaking and swimming off the marina deck or heading off to the islands for water skiing – or enjoying a frosty cocktail at the pool on the sundeck.